When the sunshine comes out in Seattle, people make a point to head outside and bask in the warmth as much as possible! 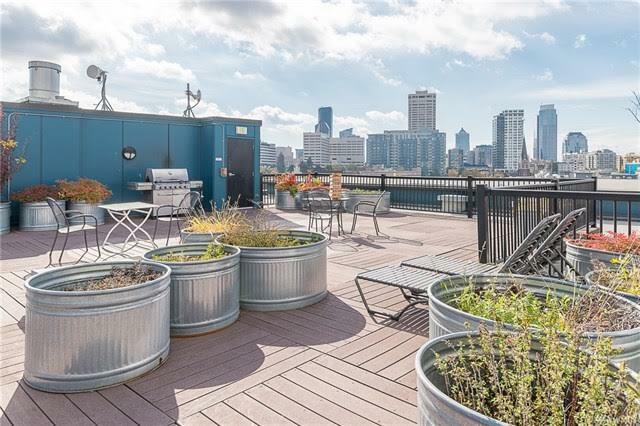 That being said, it’s really no surprise that rooftop decks are so popular. 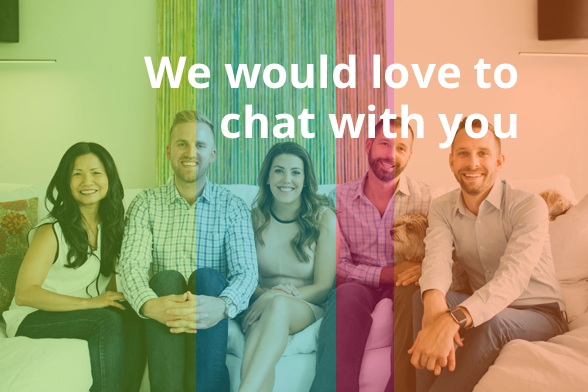 And in fact, when we’re talking to condo buyers, the #1 amenity we’re asked about is rooftop decks. People don’t care about gyms—they want a fabulous deck they can soak in the rays from and hang out with their friends on. 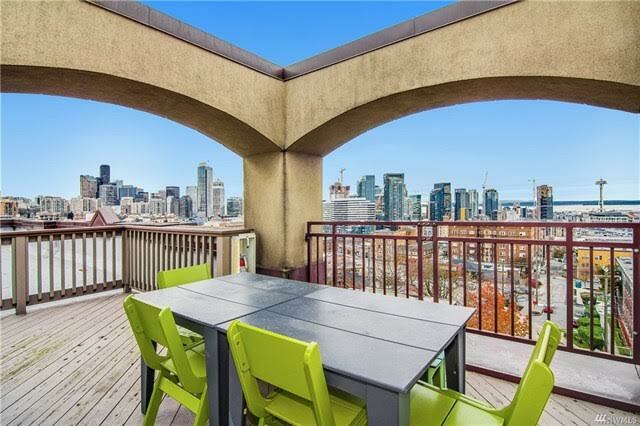 Plus, having access to a rooftop deck in Capitol Hill means you have built-in viewing for 4th of July fireworks, New Year’s Eve fireworks, and the Blue Angels performances during Seafair. 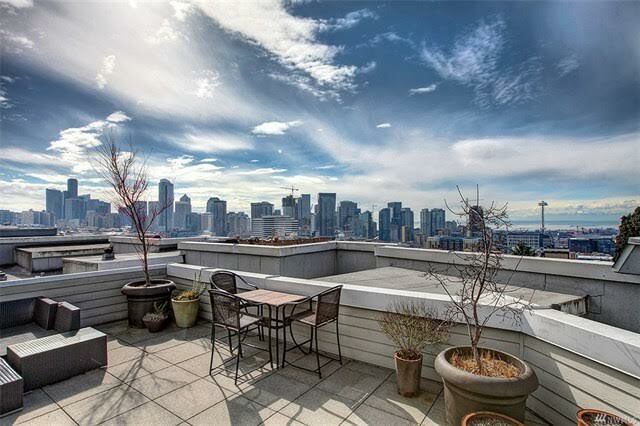 If you’re buying a condo, this is something to not only consider for yourself (who doesn’t want a rooftop deck at their disposal? ), but also for the resale value of your condo down the road. Located at 1610 Belmont Ave, Seattle, WA 98122, The Press is in a prime Capitol Hill area with Pine Street right around the corner. 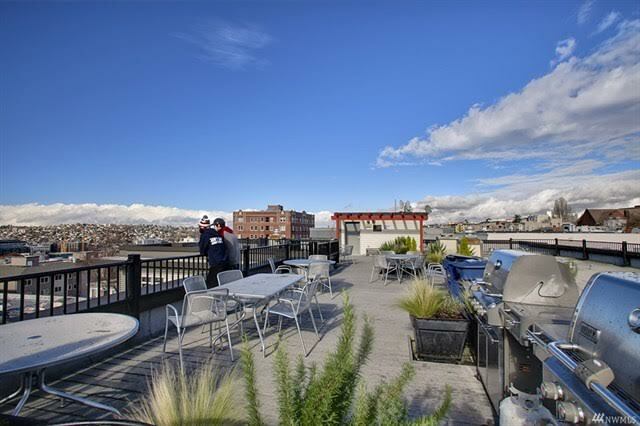 Their expansive rooftop deck is equipped for summertime barbecues, and the views are, of course, fabulous! 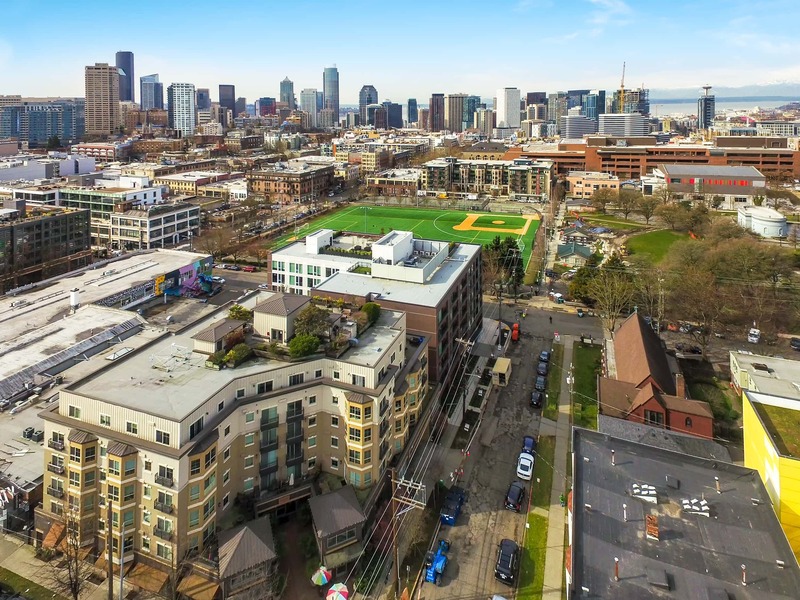 Located at 1631 16th Ave, Seattle, WA 98122 and nestled right between Olive and Pine, Garden Court Condos is at one of the highest points in Capitol Hill. This means your views are *incredible*. You’re also literally steps away from grocery shopping at Central Co-op, and only a block from popular spots like Little Uncles (a nationally acclaimed Thai restaurant) and Westman’s Bagel & Coffee (this hole-in-the-wall almost always has a line down the sidewalk… they’re that good). Located at 1711 E Olive Way, Seattle, WA 98102, Plaza Del Sol is just blocks from Broadway and tons of fun nightlife opportunities as Olive Way heads toward Denny Way. In the summer, enjoy a drink on the deck and watch the sunset before heading out for a night on the town. 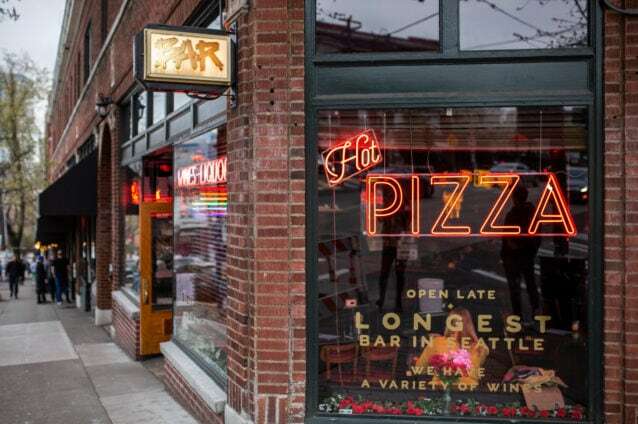 Located at 1408 12th Ave, Seattle, WA 98122, Trace is in the same building as Mighty-O Donuts (freshly made organic and vegan donuts) and Tavern Law (a cocktail bar with a vintage vibe and a speakeasy inside). At the corner of Madison and 12th, you’ve got a view of it all from here. The large deck layout can accommodate a crowd—just imagine the summer shenanigan possibilities here! 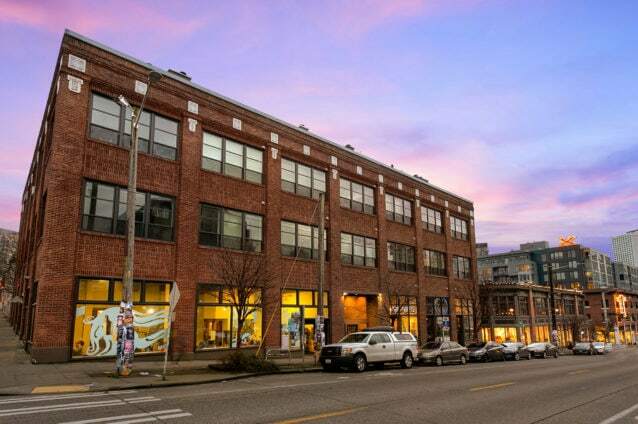 Located at 1125 E Olive St, Seattle, WA 98122, the Onyx is at the center of Capitol Hill and seriously has it all. 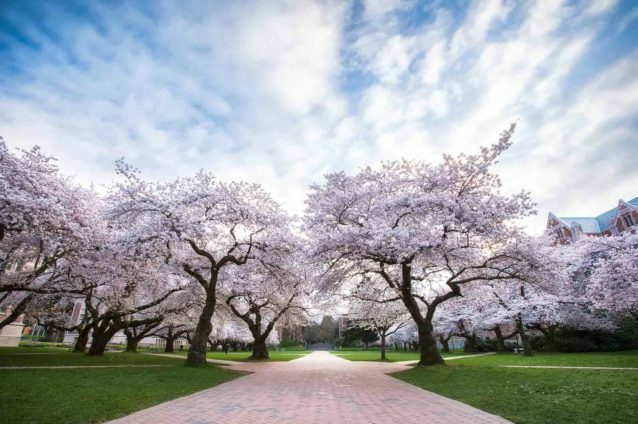 Cal Anderson is basically your backyard, and you can easily cut through the 7.3-acre park to get around the neighborhood (and you’re only a 5-minute walk through the park to get to the Capitol Hill Light Rail Station!). 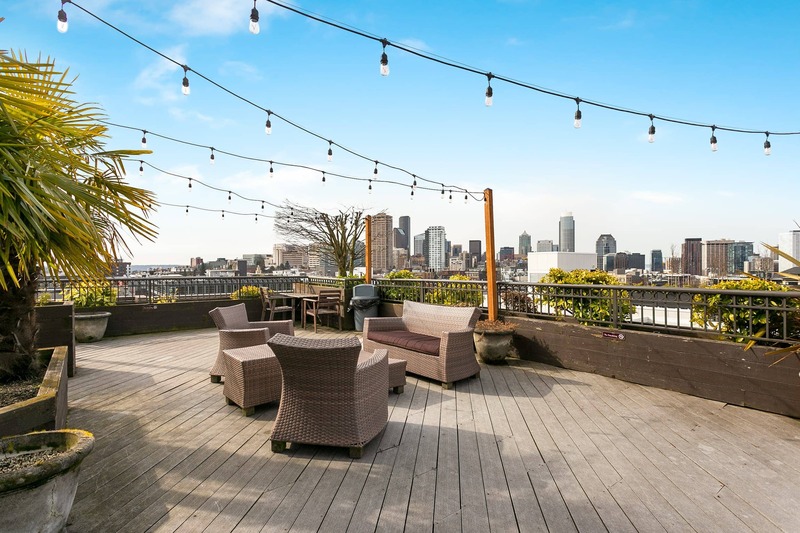 This also means that your rooftop deck boasts panoramic views from stretch on from Capitol Hill into Downtown, Queen Anne, and toward the shimmering Puget Sound and the majestic Olympic Mountains in the distance. 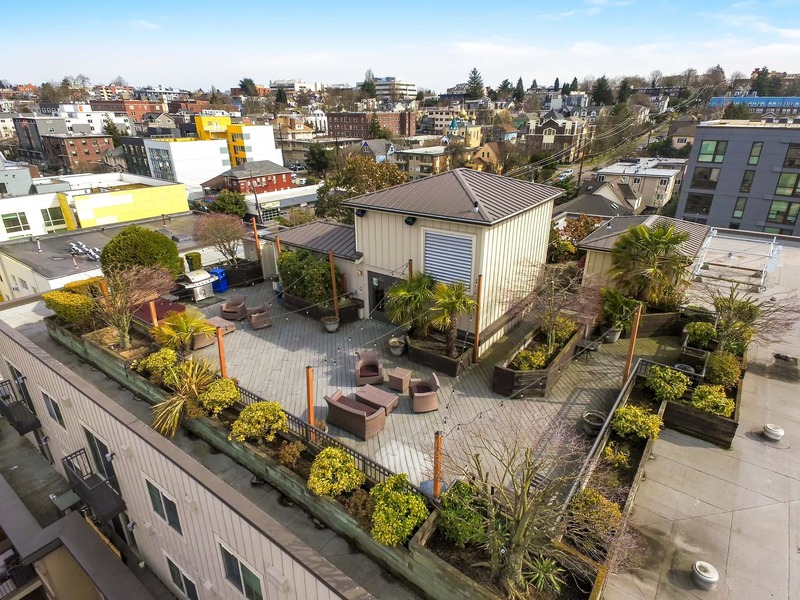 The rooftop deck at the Onyx is spacious, and it’s also been beautifully designed and lined with greenery, giving you the sense that you’re in a garden oasis (all with rooftop views, of course!). Firefly lights zig-zag across the deck, resort-worthy outdoor furniture is ready for sunbathing, and a barbecue makes it easy to grill up dinner before a night out on the hill. We currently have a 2-bedroom, 1.5-bath condo listing in the Onyx. 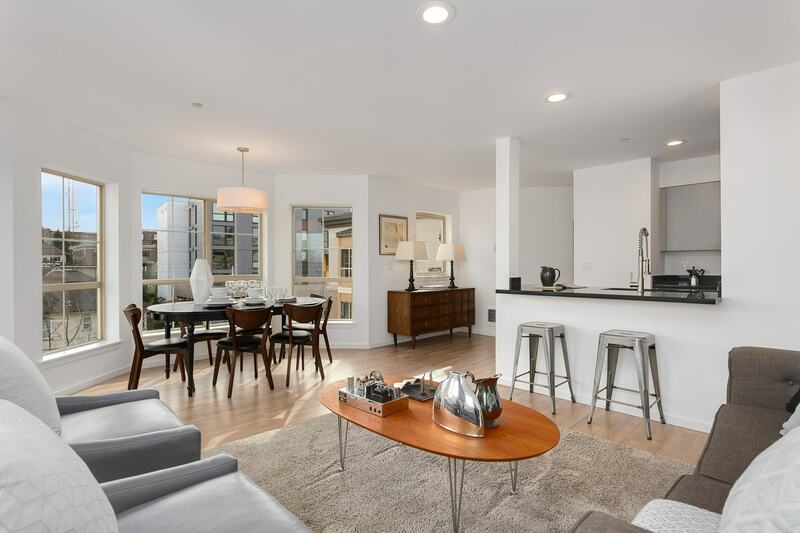 With all of this beautiful weather we’ve been having, we’re especially excited to show it off—this rare corner unit boasting an abundance of natural light inside, and with rooftop deck access, you’re sure to get your fair share of Vitamin D!